In a wonderful victory to animals, 69% of the people of Florida voted to ban dog racing, phasing out commercial racing by December 31, 2020. 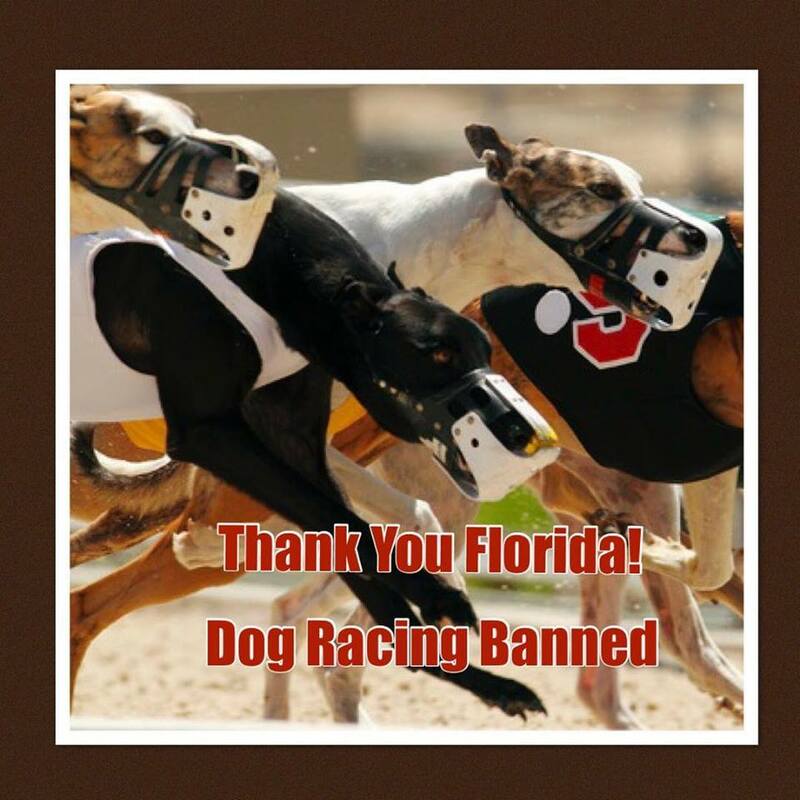 Dog racing is still legal in Alabama, Arkansas, Iowa, Texas and West Virginia. Thousands of greyhounds will need homes and will finally get the life they deserve. Many of these dogs were kept in crates much of the time, suffered injuries or death related to the racing, forced to run regardless of environmental conditions and then used for breeding after they were retired. Congratulations to the animal welfare organizations such as Grey2K USA who fought so hard to stop this incredible mistreatment of animals. Thank you to the people of Florida who put the welfare of animals ahead of money.